Plastic wallet boxes are a high end wallet photo packaging option. 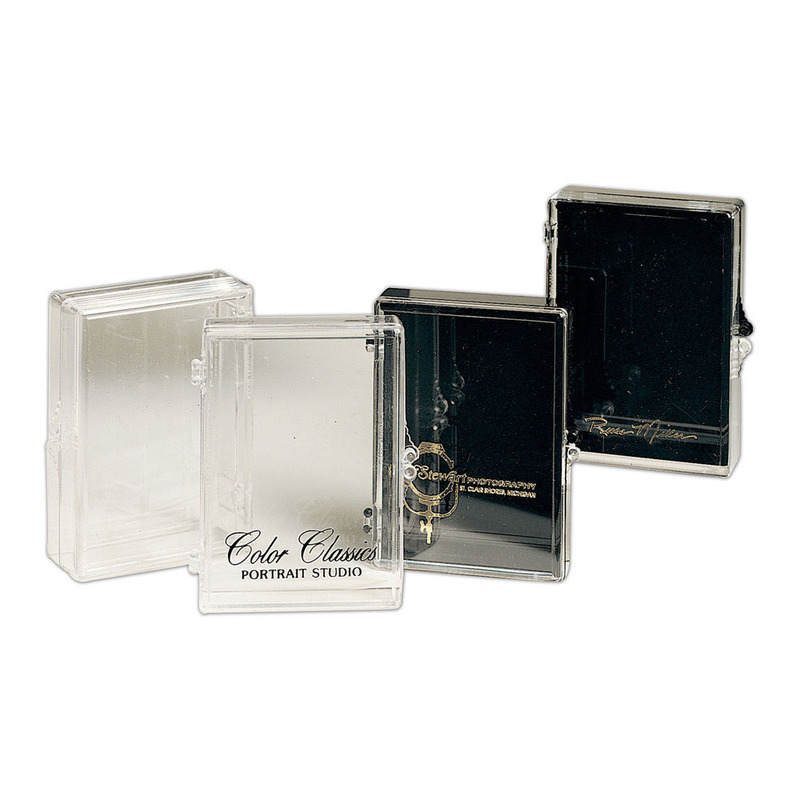 These high quality plastic wallet boxes available in 1" and 5/8" sizes. Both sizes are available with a clear top and bottom or clear top and black bottom. Rate our Plastic Wallet Box.